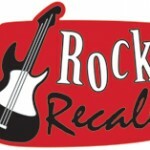 Rock Recall brings back the big guitars and attitude that dominated music throughout the ‘70s and ‘80s. Pick your ticket – there are two different versions available – one for each decade! The 70’s version features the cornerstone bands that redefined music with their groundbreaking work. You’ll hear Led Zeppelin, AC/DC, KISS, Rush, Van Halen, Aerosmith and many more. The 80’s version is all about the bands who embraced big hair and questionable fashion choices, with tunes from Guns N’ Roses, Motley Crue, Journey, Bon Jovi, Tesla, Iron Maiden, Foreigner and many other bands that you’ll find on your 80’s ticket stubs.